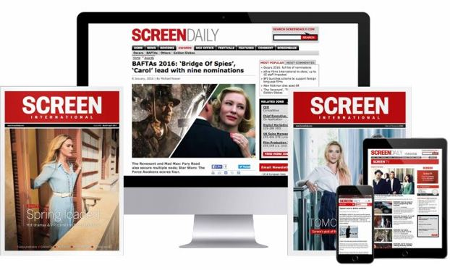 Screen considers potential runners and riders. The BBC is likely to announce its new head of film within the next two weeks, according to sources close to the process. That timetable should come as a relief to those under consideration for the role and to wider industry who will want to begin building or growing their relationship with the new boss. The job, which is considered one of the UK’s most prestigious posts, became vacant in autumn 2016 following the departure of long-time chief Christine Langan. BBC Films veteran Joe Oppenheimer has been serving as acting head of film since then. The incoming head of film is expected to have an annual war chest of around £12m for production, cementing BBC Films’ position as one the three mainstays of public funding in the UK along with the BFI and Film4. The organisation advertised the position (as ‘director, BBC Films’) on the BBC careers website in November and December 2016, both internally and externally. However, Screen sources indicate that the net has not been cast as widely during the recruitment process as it was when Film4 moved on from their own long-time head Tessa Ross, in 2014. Certainly, industry chatter has been much quieter in this instance than during that process, when Channel 4 hired an external headhunter to do a global sweep of potential candidates. The decision over the BBC’s new head of film will ultimately fall to BBC director of content Charlotte Moore. Features backed by BBC Films in recent years include Ken Loach’s Palme d’Or winner I, Daniel Blake, Ricky Gervais’ David Brent: Life On The Road, 2016 box-office hit Absolutely Fabulous: The Movie and upcoming Ian McEwan adaptation On Chesil Beach, starring Saoirse Ronan. Below, Screen runs through some of the names the BBC could be considering for the position. The only name on this list who is known to have had an interview, Oppenheimer is the most obvious choice to succeed Christine Langan. Most industry executives canvassed by Screen expect Oppenheimer to get the job. He has been at BBC Films since 1998 and has most recently served as executive producer on films including Rachel Weisz drama Denial, Louis Theroux doc My Scientology Movie and upcoming Ralph Fiennes drama The White Crow. One of the UK’s most respected development and production executives, Borgars’ name has figured when senior Film4 and BFI jobs have been in the offing in the past. A former UK Film Council head of development, the long-time Studiocanal head of production has served as executive producer on UK films including Alan Partridge, Sightseers and recent BBC Films-backed family-drama Swallows And Amazons. Fast-rising Garnett joined Film4 in 2013 as head of development after working as a theatre and film producer. She and David Farr previously ran the Gate Theatre in Notting Hill where they worked with writers and directors including Tracy Letts, Dominic Cook and Sarah Kane. Currently Film4’s head of creative, Garnett’s recent credits include American Honey, Room and Carol. As the head of the development and film funds at the BFI and the UK Film Council, Seghatchian made investments in films including The King’s Speech, The Iron Lady, The Woman In Black and Steve McQueen’s Shame. The Harry Potter co-producer has a first-look deal with Jeff Robinov’s Studio 8 and won a BAFTA for producing Pawel Pawlikowski’s 2004 film My Summer Of Love. The BFI’s senior production and development executive is an establishment stalwart, previously serving as development producer for the UK Film Council’s development fund where she oversaw the first feature programme. Projects the one-time critic has executive produced while she has been at the BFI include ’71, The Selfish Giant, 45 Years and Lady Macbeth. Marshall previously headed up Ridley Scott’s London-based TV and film production arm Scott Free UK, responsible for shows including BBC1 drama Taboo. She is also a former head of drama at Channel 4. Marshall recently set up Hera Productions after exiting Archery Pictures last autumn. Alongside strong TV credentials, film credits include Get Santa, Life In A Day and Boy A. The last two heads of Film4 have heralded from distribution backgrounds. Thompson is currently co-president of international sales outfit Cornerstone Films, which has sold titles including Amy and Denial into the global market. She was formerly co-president of Universal-owned Focus Features International, whose prestige slate included Brokeback Mountain, Moonrise Kingdom, Blue Jasmine and Mr Turner. Before that she headed Pathé Pictures International and started out at Channel4. Before joining the BFI Film Fund in 2010, Wharton worked at Working Title Films, initially in the development department where she was across films including Elizabeth, The Borrowers and Bridget Jones’s Diary. In 1999 she co-created WT2, the company’s low-budget-film division, which produced films such as Billy Elliot, Shaun Of The Dead, Ali G Indahouse and Hot Fuzz. Recent credits for the BFI as development and production executive include Brooklyn and City Of Tiny Lights. The chances that the BBC replicates Film4’s 2014 decision to hire a non-Brit for the top job seem unlikely. While a US (or distribution sector) hire could potentially bring a sharper commercial focus to the organisation and a European executive might offer a refreshing change of direction, going outside the UK could lead to a political headache. However, there is always the chance the Beeb looks to its own drama ranks to fill the vacancy at a time when film and TV crossover has never been more pronounced or that it plumbs for another active UK film producer. BBC Films is at the forefront of independent film making in the UK, developing and co-producing around twelve films a year. Recent releases demonstrate both the breadth and the quality that is synonymous with BBC Films including titles such as “Absolutely Fabulous: The Movie”; “David Brent : Life on the Road”; “Swallows and Amazons” “Lady in the Van” “Being AP” and “Brooklyn”. BBC Films aims to work with a broad range of the best talent the UK has to offer and the Director is a key part of the team who nurture, develop and manage relationships with creative talent. Working closely with the writers and filmmakers to craft the stories, the Director will ensure they achieve their best version as well as providing guidance and support across the editorial and creative aspects of projects during production and post-production. · Encouraging a risk taking, innovative approach to ideas and talent development whilst ensuring the quality control of films to maximise the chances of audience success and value for money.